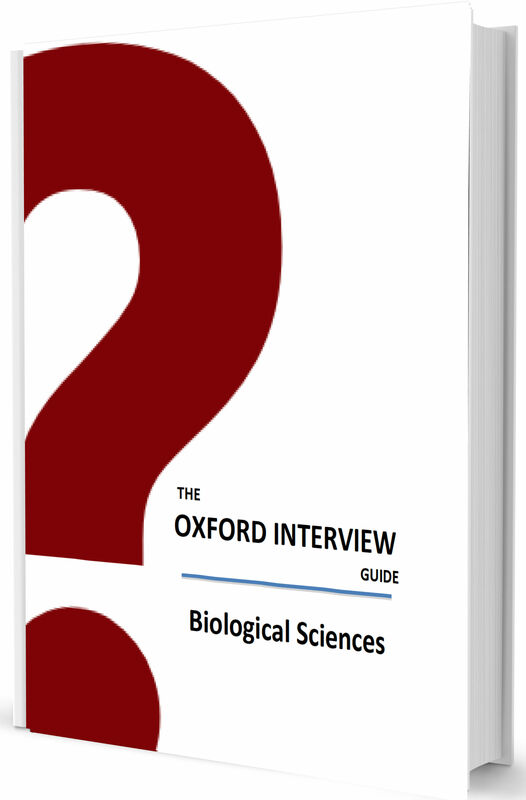 The Biological Sciences guide discusses Oxford Interview Questions in depth with answers and approaches – along with possible points of discussion to further demonstrate your knowledge. The Biological Sciences Guide also includes the Oxford General Interview Guide. It has been specially edited for applicants for each subject by a team of Oxford and Cambridge graduates. The Oxford Biological Sciences Interview Guide is available to download now! By understanding how the interview works and, crucially, what it is that the interviewer is looking for. The interviewer is not looking to catch you out, but rather for you to demonstrate your curiosity, knowledge and passion for Biology. The easiest way to demonstrate your enthusiasm for Biology is to show that you are self-motivated and have studied the subject in your free-time for enjoyment – for example through online lectures and independent reading. If you don’t know where to start, review our suggested reading list below. What is the significance of the human genome project? How do you tell if a protein codes for a transmembrane protein? What shape are bacteria and why? Comment on a population pyramid. What does George Bush have in common with a monkey? How can you see they are related? If a brain was placed in front of you, how would you describe it? If you were a virus, how would you communicate your opinions to me? Give an example of how specialist biological knowledge has helped food production. Why do leaves have their stomata on the lower surface? Why don’t animals have wheels? How can you tell how genetically identical the individuals of a species are? What evidence is there to suggest that humans are still evolving? Can you design an experiment to test the effect of bird faeces on lichen growth? Why it is easier for oxygen to associate after one oxygen molecule has already done so? Why is it that everyone regards Darwin as such a great man? Explain the differences between bacteria and viruses. How would you test to see if a rat could tell red from blue? What would you define as a species? If you could save either the rainforests or the coral reefs, which would you choose? Here is a piece of bark, please talk about it. Why don’t most herbivores have green fur? What percentage of the world’s water is in a cow? Why are there so few large predators? Tell me about a banana. What would you do if I were a Magpie? Are their chances of developing breast cancer identical for two twin girls? Describe an example of evolution in action. Describe and draw a Volume/Pressure curve of a balloon and compare it to workings of the lung. Does the molecular structure of glycine change with pH? Draw a graph of how a bacterial population changes over time and one for human population. Why is there a difference? Draw the full chemical structure of DNA. Draw the structures of as many compounds as you can think of with the formula C4H8O, with an emphasis on the different chemical groups that may be involved. Female deer appear to select their mates based on the size of their antlers. The older deer have bigger antlers. How would you confirm this experimentally? Give an example of when specialist biological knowledge has helped a global issue. How do dolphins regulate their body temperature in cold and warm water? How does the leg respond to reflexes? What would happen if you stimulated both the sensory and motor neurons at the same time? How many sulphate ions would you expect in a 0.5 litre aqueous sulphuric acid solution at pH 2.0 assuming it was completely dissociated? How would you find out which colours a rat can distinguish? What about an octopus? How can mutations cause an RNA or DNA to be longer or shorter? How can we cure global warming if environmental measures fail? How could you measure how much blood is in your body right now? How do stem cells become specialised? How does an electron microscope works? How does respiration differ between fish and mammals? How is a horse’s leg adapted to running? How is an elephant’s foot adapted to it’s purpose? How is aspirin synthesised? What organic reaction takes place? How long is a gene? How many atoms are there in a Brussels sprout? How many genes are in a cell? How many mice would you use in an experiment? How many molecules of gas are in the room? How would you find out what function a gene has in humans? What about in plants? How would you mass produce insulin? How would you measure the mass of nitrogen in this room? How would you tell if a mouse could differentiate between the smell of an apple and the smell of chocolate? I see from your personal statement that you do a lot of sports. What effects does lactic acid have on the body and brain? I have just injected myself with an unknown substance. Work out what it is doing to my body by asking me simple questions. If money was no barrier, how would you scientifically prove life on Mars? If senses work only because our brain interprets electrical signals, what is reality? Imagine that I am a research funding organization and I am awarding grants to various research proposals. Why would I award funding to someone studying the mating habits of the Bolivian hairy shrew instead of someone studying a new cancer drug delivery mechanism? Is it easier for organisms to live in the sea or on land? Radiation can cause cancer yet we use radiotherapy to treat cancer. What could explain this apparent paradox? Should all stem cell therapy be legalised? Talk about a piece of recent scientific research. Why was it important and how could it be improved? Tell me about this pot plant. Was Lamarck right about inheritance? What can you tell me about this skull? What do you know about the bonding in a benzene ring? What is the Red-Queen Effect? What is its significance? What is your favourite pathogen? When competing for mates, male deer engage in “show-flghting”, and the loser eventually backs down. Is there an evolutionary advantage to this, rather than fighting to the death? Why are bacterial infections easier to treat than viral infections? Why are dogs the most common type of pet? Why are infectious diseases no longer the biggest killer in the UK? Why are so few flowers and animals coloured green? Why can you stay balanced whilst cycling, but not on a stationary bike? Why do cats eyes appear to ‘glow’ in the dark? Why do leaves have stomata on their bottom and not top? Why do people have different gaits when they walk? Why do so many animals have stripes? Why do some habitats support higher biodiversity than others? Why does an egg become rotten? Why does the brain:body ratio of moles and bats differ? Why is the preservation of biodiversity important? Will the population of mankind ever stop increasing? Would it matter if tigers became extinct? How many animals did Noah take on the ark? If a carrot can grow form one carrot cell, why not a human? Describe a potato and then compare it to an onion.